CCF Success Stories: “Exercise made me younger” – Theresa M.
Fitness Options for the Entire Family! Coors Core Fitness is a full-service fitness facility located in Anderson Township. We specialize in personalized fitness solutions, Tabata and Strength Training group classes, and Medical Fitness programs to help you reach and exceed your goals. Coors Core Fitness is Cincinnati’s premiere studio for Parkinson’s Disease exercise. We work closely with industry leaders, both locally and nationally, to offer the latest in PD exercise. We offer classes weekly for both beginning and advanced students in Anderson, Blue Ash, and Maineville. This class is perfect for those who want simple stretching moves and relaxation. Modifications are available for those with orthopedic or disease related issues. We ask that you bring a caregiver/buddy with you if you have balance problems. To register for either class, locate your class on Group Exercise link and click on the Paypal button. Are you a personal trainer interested in teaching Parkinson’s Disease specific exercise classes? Contact Coors Core Fitness at coorscorefitness@gmail.com or 513-233-CORE for more information. These classes are perfect for those who can exercise independently. The goal is to improve strength and balance in everyday movements such as: standing, walking, leaning, getting up and down from chairs, turning sideways, lifting & lowering, plus many other daily tasks. The classes will help build confidence moving in everyday activities and help reduce the risk of falling. Beginner level is for those who have not worked on balance before or need to start with the very basics. Level 2 class is for those who want to sharpen their balance skills. 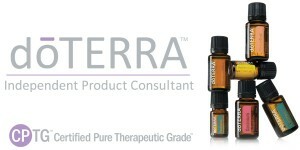 Coors Core Fitness is proud to endorse DoTerra essential oils. Learn more and order these high quality oils today. Contact us for assistance.Visit the DoTERRA website and order today.